In this interview with Ladi Akeredolu-Ale, a former Minister of Information and presidential candidate of the Social Democratic Party (SDP), Professor Jerry Gana, speaks about the problem of governance and the way out, as well and the issues of security and restructuring among others. 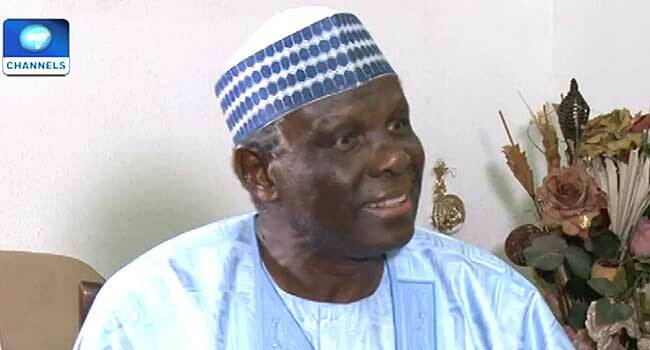 The interview was conducted before the Independent National Electoral Commission (INEC) published the final list of candidates which excluded Professor Gana’s name. What is wrong, what do you think are the missing ingredients from our governance process that keep leaving these gaps that so many people say we still need to fill, even in 2019? Thank you very much, that’s a very important question. The major gap is quality of leadership. Seriously, the leadership selection process in Nigeria, even under democracy is very faulty. Under the military we know it was by coup, those who took the risks; it wasn’t the best of these but under democracy, you find that some very able people who have the quality of visionary leadership, the kind of leadership that will move the system towards development and transformation; simply because they may not have access to resources, they are handicapped. Therefore, the parties have now emerged with certain, I term them ‘evil gatekeepers’, could tend to keep out those they cannot control. It’s a very dangerous thing for any democracy and that is what is happening in many of the big parties. I must confess, that is the reality. Therefore, we in the SDP we nearly succeeded and we hope we are going to succeed to really say ‘look, let the emergence in terms of leadership be a matter of democratic choice of the people, not purchased, not manipulated, not confused; because if you do that you will not allow the right people to emerge. In a democracy, you need the democratic forces to genuinely and freely and credibly elect their leaders. That is one major fault. In a democracy, allow the people to choose. Number two; there is a discrepancy between what the people want and what the leaders are prepared to do. In a good democracy, leaders should align with what is in the best interest of the people and that is why in the SDP when we come to that, we will like to really take the opportunity to let you know that the progress we designed were designed after a very serious research of what Nigerians want. Therefore, the policies and programmes are relevant to the needs and aspirations and yearnings of the people. Thirdly; is the lack of capacity. You know there is a whole difference between a dream and reality. We in Nigeria, we like to dream dreams, beautiful dreams but there seems to be a lack of capacity to translate our dreams into reality. We may have a beautiful plan of how to develop the nation but it takes a lot of hard work, sacrifice, leadership, mobilisation, and investments to translate the dreams into real action. You would have therefore discovered that the number of parties are not able to do that and so, the people at the end of the day are disappointed. There are a lot of promises not translating to reality, then there is a collapse of expectation. Let me give an example, one of the ruling parties; Infrastructure is one of the most critical things Nigerians have been crying about, particularly power supply, also roads, railways and so on. Then there come an administration that grouped the infrastructure ministries of Works, of Power, of Housing; every infrastructure into just one ministry with one minister; however visionary that minister may be, it’s not possible. That is one of the things we want to do. When it comes to infrastructure, our own plan is to decentralise the administration of the provision of roads, railways, power, and so on. Why centralise it? For example, our own infrastructure once we design, two things will happen with implementation. One we are going to change the budget cycle. The budget cycle in this administration does not allow people to implement. Before you know it, there are only two-three months so they are not able to implement. For us, the capital budget will be like a capital development plan for four years. When we come in, we will have a four-year plan that will be approved as a budget right from the start. So, you will spend four years implementing and therefore, you have the time to really implement. It will be the current budget that will be ongoing – for salaries and other things; it will also allow us to produce value for money in terms of expenditure. And if you now take the strategy of the implementation to the zones, for example, why should somebody be sitting here monitoring roads being built in the South-south or in the North-east, or in the North-west, maybe visiting there once in a year? No. You want progress? Decentralise the implementation – the roads, the railways, the infrastructure … so that you can now on a weekly basis know what is going on. Have a kind of a central monitoring body, just for an example, in Kaduna for the North-west, in Ibadan for the South-west, in Enugu for the South-east, maybe Port-Harcourt for the South-south, and Abuja for the North-central. Believe me if you do that and you give each of these centres a team and a minister of state as the chairman, every six months you will see transformation. Then you will implement; you will get things done. We are facing security challenges virtually everywhere, in everything. It used to be fashionable to talk about the North-east and Boko Haram insurgency, but we have gone beyond that. There are herdsmen-farmers’ clashes in the North-central, there is banditry and so on in the North-west and down South, you have the perennial cases of armed robbery, kidnapping? … Top on the agenda is security; people are worried about their security – security of life and property. Suddenly in Nigeria, life is not safe anymore and therefore, our number one programme is security re-engineering in which all the security infrastructure, we will like to re-organise them in such a way that they are effective. You won’t be thinking of decentralising some of those? I’m coming to that. So, that is very important. Secondly; we want to particularly reform the police that is very close to the issue of security because defence is national. You have a small national Army that is efficient, that can defend the nation against any attack … but security is local; you have to be present in almost every local government and there are 774 local governments. Therefore, how has the Police Force of Nigeria tried to secure 180 million people with less than 400 thousand police? It’s impossible. Therefore, the first thing we want to do within the first six months is to enlarge Nigeria Police, even the Federal police before we go into restructuring, to about 900 thousand men and women. That will be an average of about 25,000 in each state. And not only that, they should have equipment and weapons. Some of them are running away from armed robbers because they are holding more modern weapons. Look at the Boko Haram, some of our soldiers are actually running away because they don’t have sufficient ammunition to stop them and that is the reality. But the government says they are very well armed? A retired general was telling me this yesterday, ‘please believe it that our men are not well equipped as they ought to be. We should equip them properly, give them the best.’ The Nigerian Army has a record of one of the best armies in the world, that’s why we got the peace-keeping role. We will return to that and even better because the Nigerian Army has very courageous men and women. This security thing has become a technology thing … so, we are very prepared to re-organise the architecture of security agencies and reform and enlarge the Nigeria Police. Beyond that, in every Federal set up, the federating units are entitled to really secure their domain and that it why the governor of each state is the Chief Security Officer and for a Chief Security Officer not to have the power to enforce, power to secure, no it’s not right. It’s a very pitiable thing for a governor of a state to say ‘I’m even willing to resign because I can’t do anything. In a true federation, every federating unit is really self-contain in term of governance. It is the thing that are commonly done for all that now are at the centre – defence, foreign affair, and financial system. Issues of security, agricultural development, housing, education, health – these are the matters that each federating unit should really be well equipped to do because they know the needs of their people. You are an advocate of restructuring? Very seriously, because we shouldn’t play with it. It is not a political thing, it is a fundamental constitutional thing. Our founding fathers were correct when they said that in a society like ours that you have a multiplicity of religion, tribe, ethnicity, and so on; once you have that kind of composition, on a Federal set up is needed. Don’t deceive yourselves. And in a federal set-up, the main argument of a federal set up is that you allow the federating unit the power of self-governance. Let them look after their basic things and then agree for certain things to be commonly done as a federation. Because of our experience of military rule, most of those functions got sucked in. so the centre is now enlarged and big and inefficient. We should devolve functions back to the federating units … the federating unit should be powerful and good and strong. It is not a threat to the Federation, no.